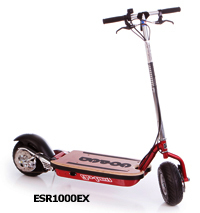 The ESR750H Hoverboard (SLA) offers 2.7″ of suspension travel in the front and 3.5″ of suspension travel in the rear that is adjustable from “plush to firm” for customizing the perfect balance to suit rider preferences. 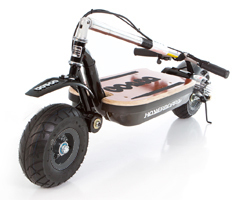 Very effective and stylish front and rear fenders help protect both rider and Hoverboard® in the event in foul weather and the Mad Dog front disc brake with anti dive produces secure and reliable stopping power. 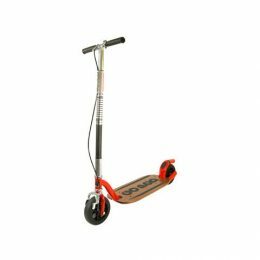 Utilizing 3 major patents, this two wheeled marvel will quietly, efficiently and effortlessly propel riders of up to 250 lbs above the ground with the sensation as if they were magnetically levitating on a cloud. 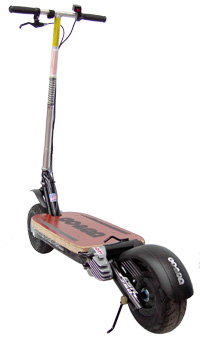 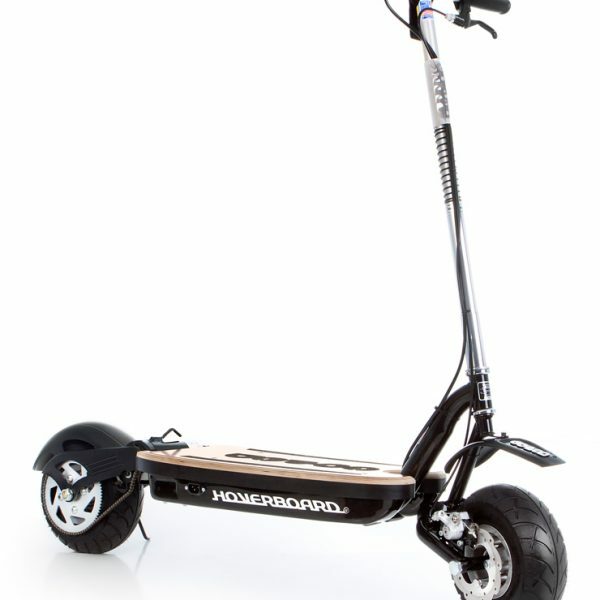 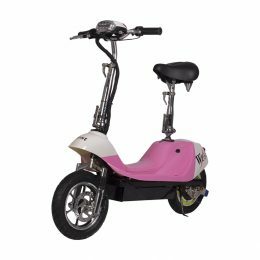 The degradation of urban streets, rough nature of country roads and everything in-between are practically un-noticeable as you float over them on this energy saving scooter. 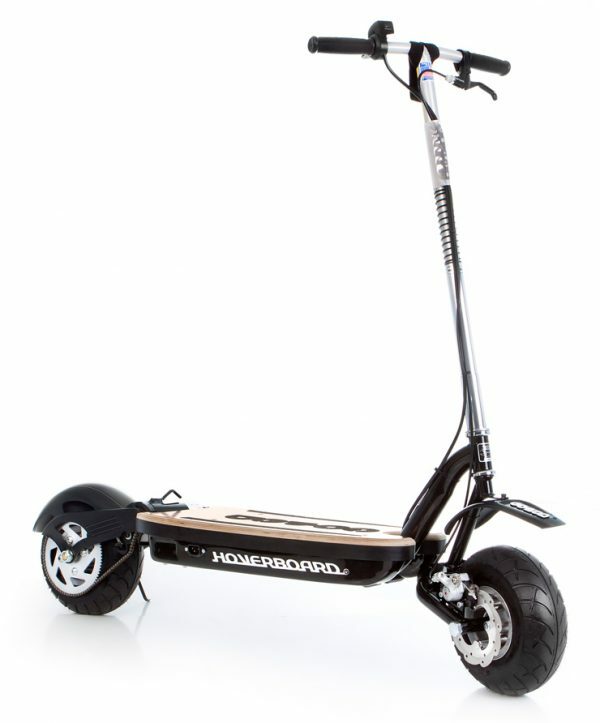 As with all ESR 750 GoPed scooters it requires nothing more than the included charging cord and a power outlet anywhere in the world to recharge for less than $0.10, regardless of where you may find yourself. 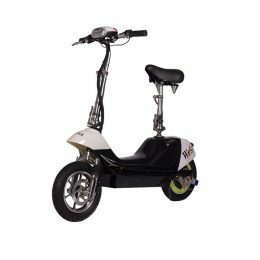 The Flux-Capacitor throttle/energy monitor will give a full disclosure on your charge status taking the guesswork out of cross town trips.